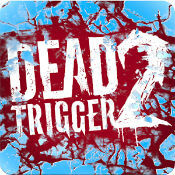 DEAD TRIGGER 2 v1.2.0 Mod apk+Data for Android. Hi beloved dev , can u please update this mod.. So it is not a MONEY mod? could you guys mod the gane crasher??? I have just started playing the game. But I can’t see any sign of hacks till now. It is all the same like Google play store version or the original. Could you hack Bowling King fot Android? The current version is 1.40.5. Thanks!